MORE workers will be paid to attend free motivational courses over the next two years. In the past four years, the Singapore Workforce Development Agency (WDA) has sent about 18,000 low-wage workers to boot camps to boost their self-esteem and coax them to upgrade their skills. Now, the WDA is doubling the pace: It has started looking for trainers to conduct motivational classes for at least 20,000 workers in the next two years, according to training plans seen by The Straits Times. These are for workers who earn $1,900 or less each month and are on the Workfare Income Supplement scheme. The national training body would not say why it is stepping up the pace, but it said previous courses "have been effective in encouraging trainees to undertake further skills training". They "build the individual's confidence and cultivate a positive attitude towards learning", and are part of a broader plan to make low-wage workers more employable, the WDA told The Straits Times. Workers sent by their bosses will be fully paid during training and their bosses can claim 95 per cent of their salaries from WDA, while those who are self-employed will receive $4.50 for each training hour. Part-time workers are typically paid between $7 and $10 per hour in Singapore. The two-day course includes sessions such as "taking control of your life", "developing a mind for success" and "setting goals and developing an action plan". Class sizes are between 10 and 20, with classes in English, Mandarin and Malay. Meals and tea breaks are provided. The series of classes will run for two years, but WDA would not say when they will start or how much these courses are expected to cost. Industry players say trainers can charge as much as $10,000 for a two-day course. The WDA also plans to pair low-wage workers with mentors who can give training and career tips to those who complete the motivational talks. 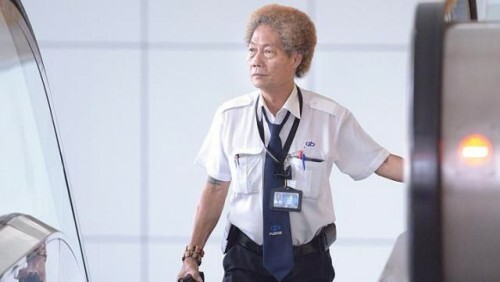 Security guard Ng Chye Hock, 66, said such courses can help workers improve. "But it depends on timing because most of us have to earn a living and juggle family commitments," he said.